Students, parents and education activists might soon heave a sigh of relief if the Ministry of Local Government (MINALOC)’s move to remove Ubudehe – a socio-economic classification system based on Rwandans’ assets – from criteria followed by the government to offer education loans to students is executed. Some students argue that their families were put in the wrong Ubudehe categories which do not match their level of wealth, hence being denied scholarships while they cannot afford tuition, which dents their hope for university studies. While speaking during a the General Assembly of the National Consultative Forum of Political Organisations (NFPO) in Kigali last month, Dr. Alvera Mukabaramba, the State Minister in charge of Social Affairs at MINALOC said that there was a proposal to exclude Ubudehe categories from student scholarship requirements. “We want to discuss that issue with MINEDUC (the Ministry of Education) to completely remove Ubudehe category from the list of criteria considered for a student to get loans, so that they only consider how best a student performed in exams and what they are going to study at university,” she said. 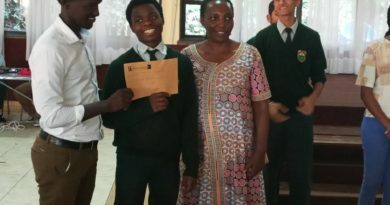 Emmanuel Nizeyimana finished his secondary school studies in the languages combination of English, French and Kinyarwanda (EFK) with grades that were required for him to pursue university studies. That was in 2016. But, the outcome did not go his way as he did not get government scholarship, and therefore, could not fulfill his wish because his family can’t afford tuition. 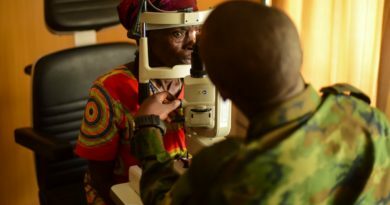 Nizeyimana was registered to enroll in education faculty (French and English) at the University of Rwanda (UR), but, his progress was hindered by poverty. The resident of Musanze District is one of students, who, despite having succeeding in secondary school leaving examinations, lost their hope to pursue university because of financial constraints as they requested education loan which they were not granted. He partly blamed wrong Ubudehe category for his being unable to access scholarship. “I scored 49 out of 73, but, I did not get the loan because my family is in the third Ubudehe category (that of people considered economically able to finance their student’s education). Yet, there are students in the first Ubudehe category (that of the most poor) who got loans despite scoring lower grades (like 43 out of 79) than me,” he said. For Social Party (PS) Imberakuri President, Christine Mukabunani, considering Ubudehe as a student scholarship criterion while a student has passed exams has resulted in many students being unable to study at university, which she described as ‘injustice,’ revealing that that citizens have often expressed concerns that they were in wrong Ubudehe categories. “We realise that Ubudehe and student scholarship should not be matched. If a student has scored the required marks, the government should help the student study regardless of the Ubudehe category of their family because many students were falling victims of such a situation. “Being unable to pursue studies, and lack of access to scholarship because a student’s family or relatives are in the third Ubudehe category is not coherent; it is rather injustice,” she said. 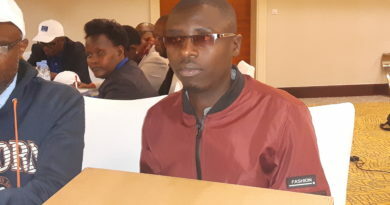 Leo Mugabe, the Coordinator of Rwanda Education for all Coalition (REFAC) — a local NGO — also said that there are people who were put in Ubudehe categories that do not correspond to their financial capacities, preventing them from accessing student loan. “Loan is a loan. Any student who scored the grades required for university studies should get it. This encourages students to have competitiveness spirit because it is no longer there,” he said revealing that [some students in secondary school no longer have courage to study as they are blocked by the thinking that as they are in a category that does not allow them to get loan. Minister Mukabaramba said that currently, students from the first, second and third Ubudehe categories get government scholarship, but, the higher the category, the lower the chance of getting the scholarship. Ubudehe accounts for 20 percent of the required points for a student to be eligible for the scholarship, while other two criteria namely the university required pass grade that the student scored during the upper secondary school national leaving examinations, and subjects that a students is going to pursue at university account for 40 points, each, the Minister explained. 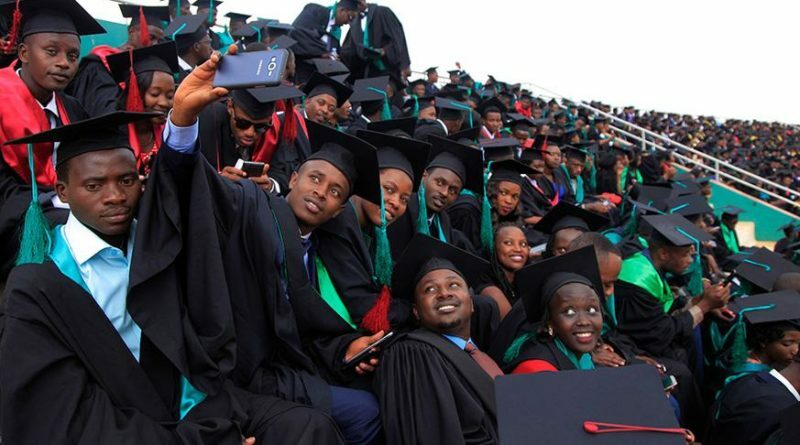 Dr. Alvera Mukabaramba said that, during the University of Rwanda’s graduation in November 2018 in Huye District, Prime Minister, Edouard Ngirente requested that students should not be deprived of their rights to education because of factors such as Ubudehe category. Meanwhile, the tuition fee for STEM (Science, Technology, Engineering and Medicine) programmes at UR is Rwf1.5 million, while it is Rwf600,000 for non-STEM programmes, according to tuition fees for the 2017-2018 academic year approved by UR Board of Governors. In the academic year 2017-2018 4,963 students received government scholarship to study at the University of Rwanda, according to the 2018 figures from the University.